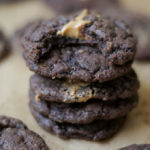 Dark chocolate peanut butter cookies are fluffy and bite-sized, with a gooey peanut butter center surrounded by a dark chocolate cookie. 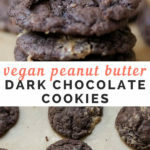 They’re like chocolate peanut butter cups, but a little heavier on the chocolate and in cookie form – what’s not to love? I’m honestly not sure if I’ll ever find a better flavor combination than peanut butter and chocolate. My favorite candy has always been Reese’s peanut butter cups, or those Trader Joe’s peanut butter cups that are the same thing but made with dark chocolate. 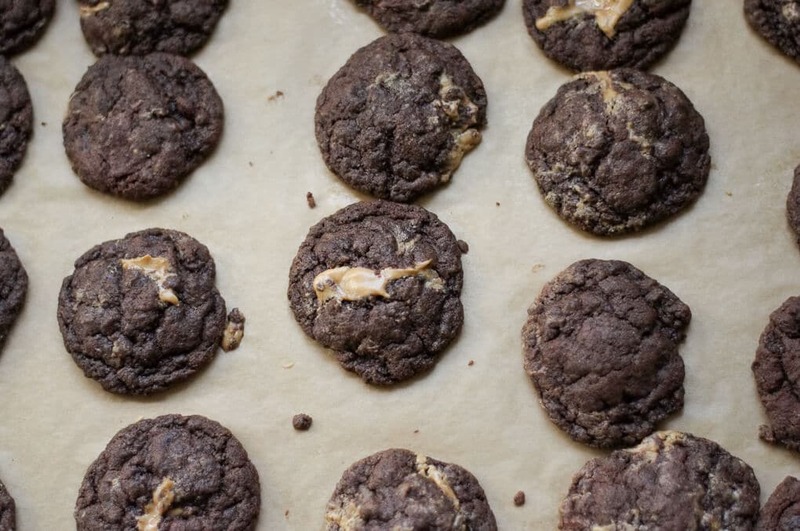 Think about those peanut butter cups but in fudgey cookie form. H e l l o! Just writing about these cookies is making me want to stand up and go make a new batch. They’re that delicious and easy to make. 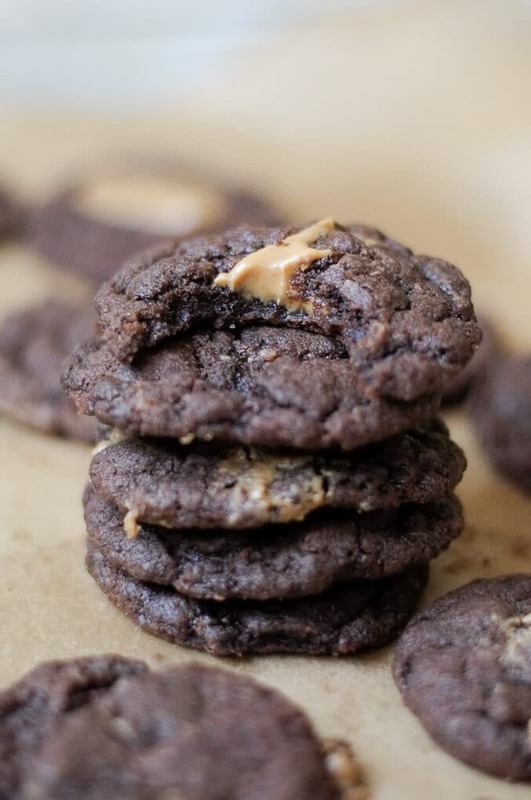 A few days ago I was driving home from work with one thought in my mind: dark chocolate peanut butter cookies. Because sometimes I just think about cookies out of the blue. So, I called up my mom (aka the cookie queen) and asked for her cookie expertise. After comparing a few different methods and recipes, we decided on the classic “chocolate crackle” cookie. In reality, it’s called a chocolate crinkle, but for some reason I have always called it a chocolate crackle. The chocolate crackle cookie is my favorite. cookie. ever. My mom makes them every year for Christmas, and I never have them outside of the holiday season. So, they’re a bit of a delicacy, and it’s a bit of a sin to make them in April. 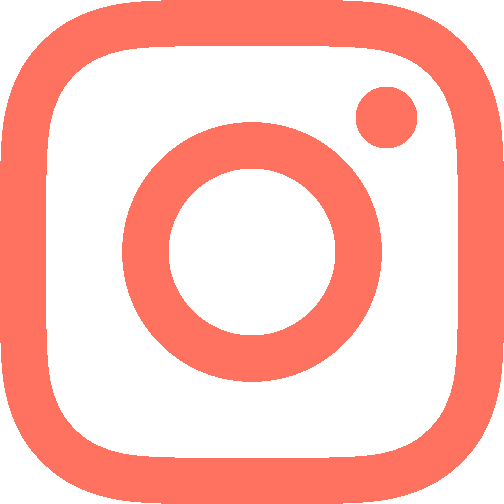 What can you do? Chocolate crackle cookies are made with chocolate squares, oil (no butter here, folks! ), and eggs (+ the necessary dry ingredients.) They’re rolled in a ball and coated in powdered sugar. I’ll share this recipe another time, of course. Chocolate crackle cookies rely heavily on eggs to give them shape and moisture, so I thought this recipe wouldn’t work out vegan. But I’m always up for the challenge, and since the original recipe is almost vegan, it was worth a try. It turns out that Bob’s Red Mill egg replacer emulated the eggs well, and I’m sure any other brand egg replacer would do the same. 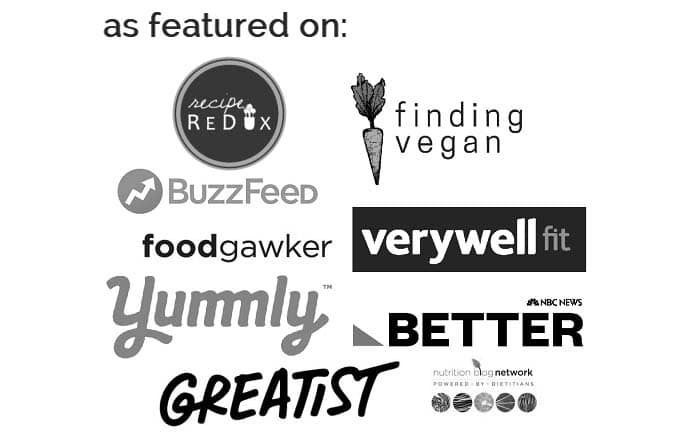 I haven’t experimented with flax or chia eggs yet, but I’ll be sure to update the post when I do. As I drove home from work, my mom read out a few theories on dark chocolate peanut butter cookies. The best chocolate option ended up being 100% dark chocolate squares (I used Ghiradelli, but any brand works) melted down to liquid chocolate. You can do this in the microwave, stirring every 10-20 seconds to prevent burning. The peanut butter method is a little more creative. Portion out 1/2 teaspoon scoops of peanut butter on to a dish and let sit in the freezer for at least 15 minutes. This firms up the peanut butter and makes it easier to work with for when you pop it in the middle of the cookies. 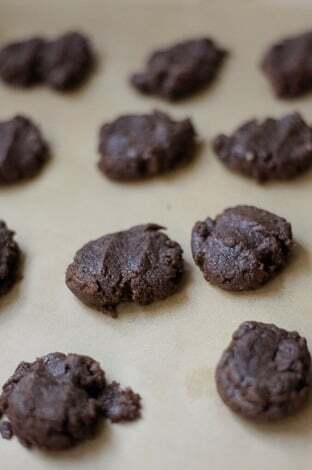 Scoop out the cookie dough onto a parchment paper lined pan, then press the dough flat with your fingers. Place a frozen scoop of peanut butter on each flattened cookie dough, then roll it back up into a ball. Bake in the oven for 8-10 minutes. 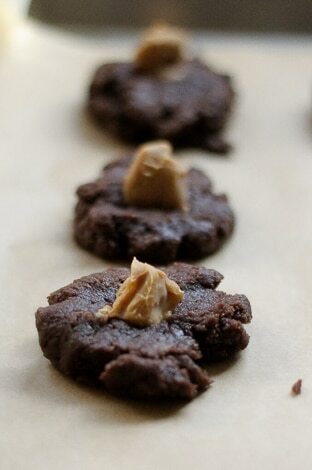 There you go, dark chocolate peanut butter cookies! 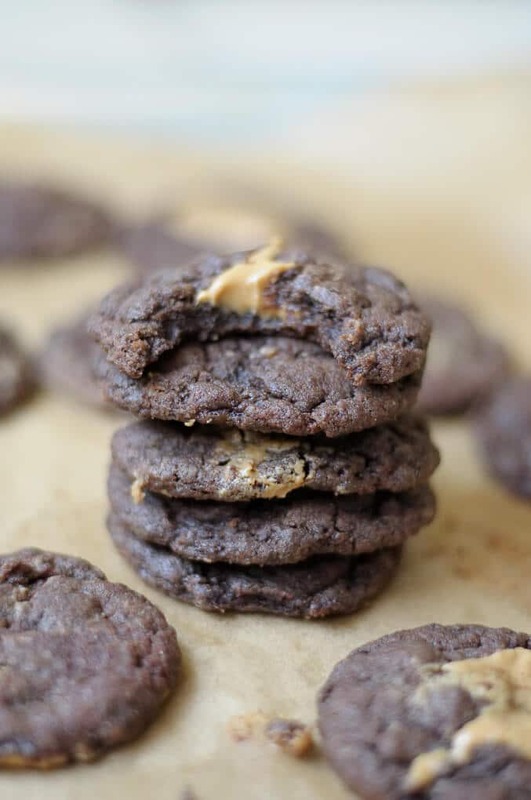 Fire up your ovens and grab some peanut butter and chocolate, because you’ve got some dark chocolate peanut butter cookies to make! 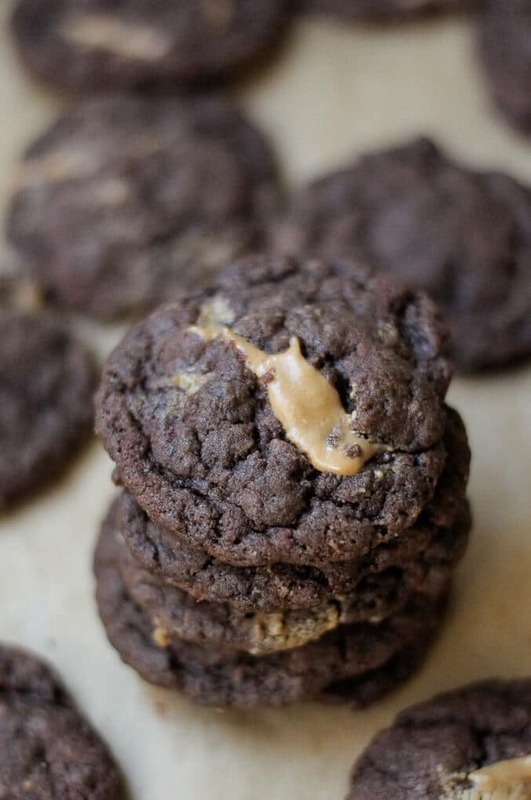 These cookies are fluffy and bite-sized, with a gooey peanut butter center surrounded by a dark chocolate cookie. In a large mixing bowl, stir together egg replacers (see note), sugar, melted chocolate, cooking oil, and vanilla. Scoop out 1/2 teaspoon portions of peanut butter onto a plate or cutting board. Freeze the individual peanut butter portions for at least fifteen minutes before using, so that they are firm and easy to handle. Preheat the oven to 375°F. Scoop out the dough using a tablespoon measure. 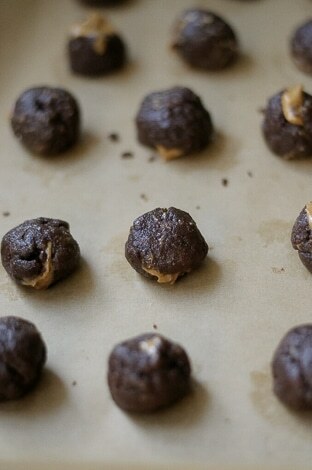 Flatten the cookie dough balls with your hand and place a frozen peanut butter portion in the center. 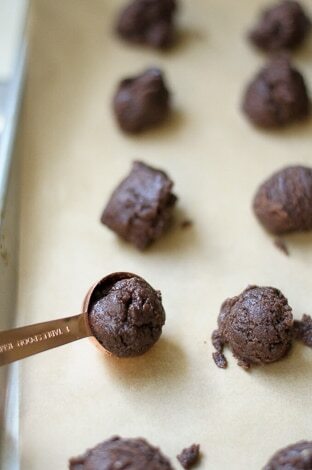 Roll the cookie dough back into a ball. Bake for 8 to 10 minutes or until edges are set and tops appear cracked. Remove cookies from the oven and cool on a wire rack. Makes about 48 small cookies or 24 regular sized cookies. Keep at room temperature for up to 5 days, or freeze in closed container for up to 3 months. I use Bob's Red Mill Vegetarian Egg Replacer, but any "egg replacer" found in the natural foods aisle would probably work. I have no tried flax or chia eggs in this recipe. This recipe can also be made with eggs; just use 3 room temperature eggs in place of the egg replacer.